Today was draft day for our Blues and it was a great one. 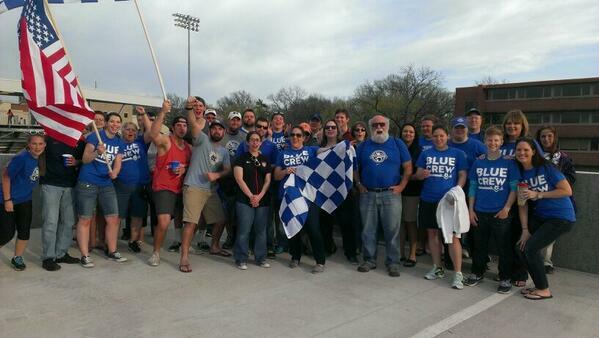 Did you see the picture of the Blue Crew shirts on the FCKC table before the draft? We were pretty excited about that. Blue Crew would like to welcome our newest Blues! We drafted Shea Groom (Texas A&M), Meghan Streight (Texas A&M), Katelyn Rowland (UCLA), Jessica Ayers (Colorado College), and Kaysie Clark (Missouri). We love the local talent we see in this draft list. Like our team, we’re kicking off 2015 with a bang! We are accepting pre-orders for our official Blue Crew scarf. Click here to order yours today! 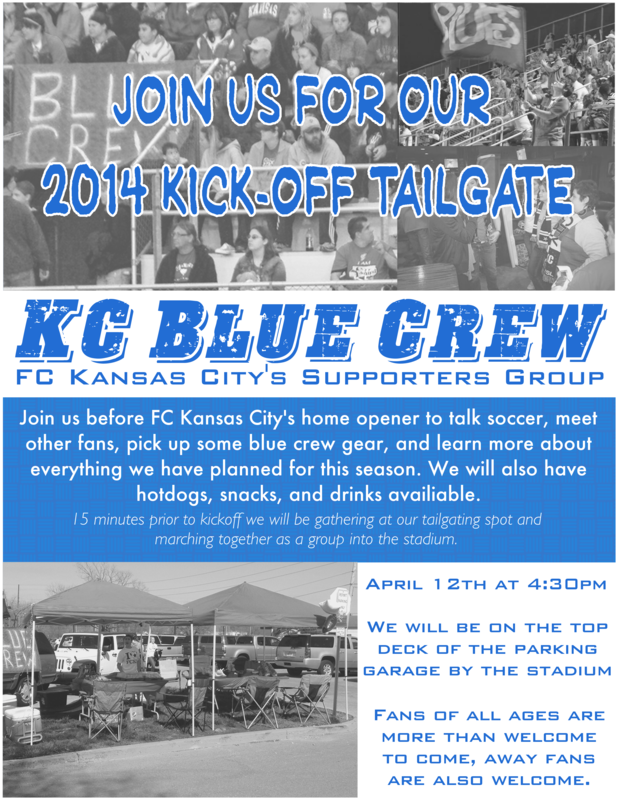 We are excited to announce our plans for our kick-off tailgate for FC Kansas City’s home opener on April 12th. We are planning on having a tailgate starting at about 4:30 pm on the top deck of the parking garage near Durwood Stadium on UMKC’s campus. There will be signs near the parking garage leading you to where we are located. Were planning to have chips, hotdogs, and similar snacks as well as soda and water. 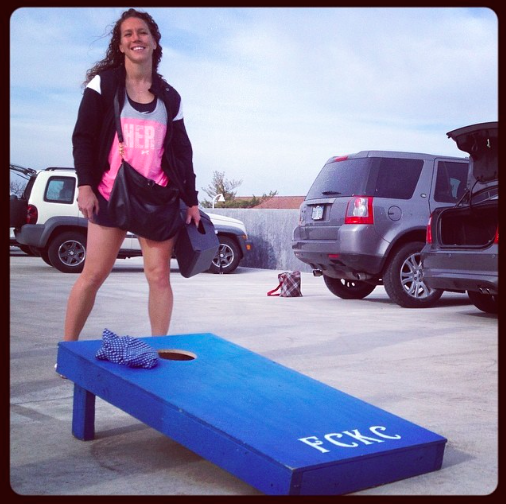 We will have tailgate games like corn hole and ladder toss, we’ll probably also have some soccer balls to kick around. This event is a way for a bunch of FC Kansas City and other soccer fans to get together, hangout and have a good time before the Blues kick off their season. We also want to note that this season we are putting a big emphasis on establishing traditions. One tradition that we are starting is a march into the stadium, so about 15-20 minutes before kickoff we want to have as many fans as we can gathered at our tailgating spot so we can march together with flags, drums, and chants across the street and into the stadium. Included below is a flyer with information on what we have planned. More details will be posted as we get closer.